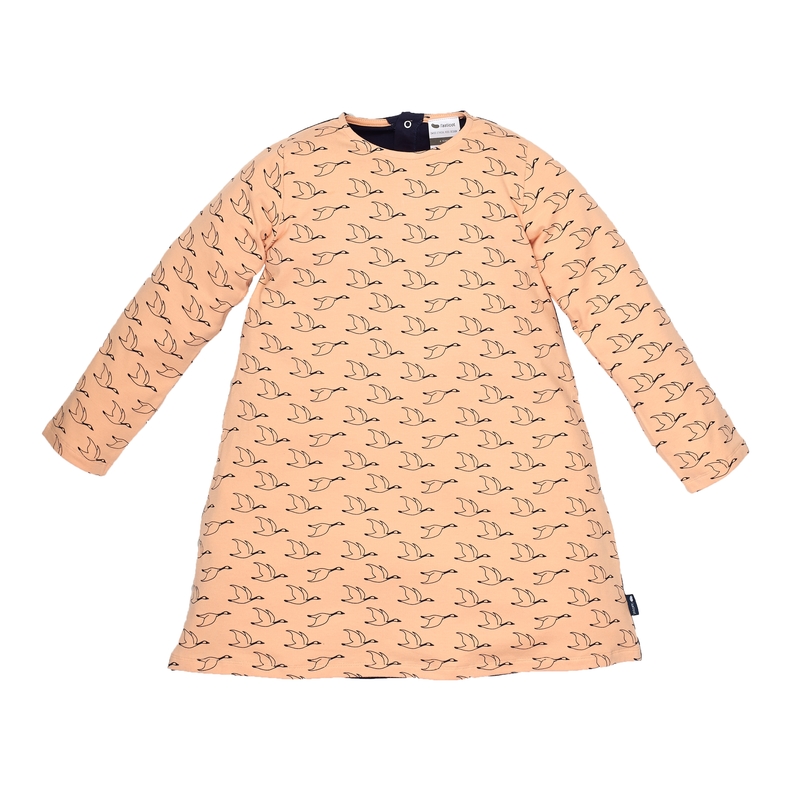 Jersey dress with two different sides : in the front, girls will love L'Asticot's original patterns. The contrasted self-coloured back gives a trendy look to the piece. You can mix it according to your taste with leggings from the collection. On the inside, brushed cotton makes the piece softer and keeps your child warm.